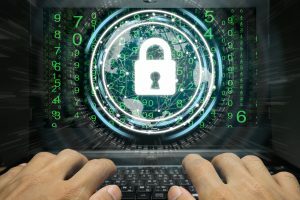 These days, the cyber security industry is stepping up their game in order to keep up with cyber criminals. Unfortunately, most businesses fail to realize why it’s important to have a large budget in order to support their security efforts.. The new landscape of security has also offered a new way to be a cyber criminal. The problem with that is that people, especially those in charge of big corporations and their budgets, aren’t aware of the severity of this problem and, thus, fail to realize the importance of security. Sensitive online data is handled by thousands of companies that range from small businesses to local governments. To assume their servers are all secure is completely inaccurate considering how the general population lacks knowledge and awareness when it comes to cyber security and how they don’t care much about the looming threat to their servers involving cyber criminals. What Can Be Done About Cyber Crime? Any good security plan should be layered. Patching should only be just one part of the layers of security. Even if patching is happening accurately, regularly and quickly, the server is still at a huge risk of getting attacked by a cyber criminal considering the various other routes the criminal can still take. More serious threats include zero-days and social engineering. Companies that don’t have awareness programs for cyber security or security training sessions often end up the victim of such attacks. These are a few examples of the numerous attack vectors a cyber criminal can utilize to gain access of the network or a computer. That is why it is frightening when you take a look on the fight between good vs. bad in the cyber world as a big picture. Cyber criminals have numerous outbreak vectors and opportunities to exploit. They only have to succeed once; whereas corporations have to deal with several aspects such as budgets, ignorance, fear of the unknown, training end users, and training themselves. The list is endless. Why Do Cyber Criminals Target Small Businesses?